Wood stain is designed to add color to the substrate of wood and other materials while leaving the underlying material mostly visible. It is intended to protect the wood and also to maintain the appearance of your addition. 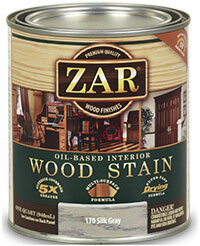 Look to our fast, friendly and courteous staff at Fisher Paints to answer your questions about wood stains. 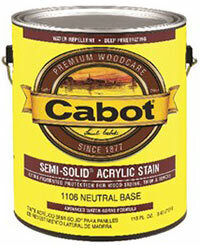 We can help you choose the best stain for your project, at a great price. 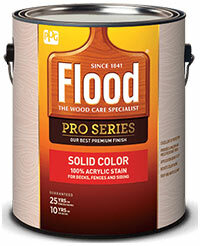 Fisher Paints carries Zar, Flood, Cabot, PPG ProLuxe, Benjamin Moore Arborcoat, Minwax and more for any project from deck staining, siding staining, to interior floor and trim staining. 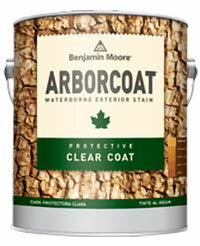 A 100% acrylic finish coat for Benjamin Moore Arborcoat waterborne exterior stain systems. An alkyd/acrylic/urethane translucent deck & siding stain providing protection & color without obscuring grain or texture of the wood. An acrylic, semi-solid deck & siding stain providing protection & color while still allowing texture & some of the wood grain to show through. An alkyd/acrylic/urethane semi-transparent deck & siding stain providing protection & color while allowing grain pattern & texture to show through. 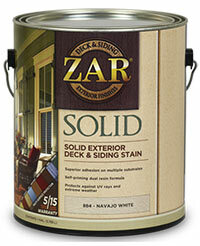 An acrylic solid deck & siding stain that enhances & protects while still allowing the texture of the wood to show through. 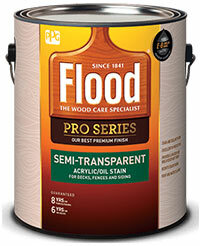 An oil-based, semitransparent, exterior stain and sealer in one that penetrates deeply to protect & preserve wood from the elements. A highly-protective opaque finish with a low-luster sheen that hides wood grain but accentuates texture. A one-coat, transparent exterior wood finish for siding, railings, decks & other exterior wood. 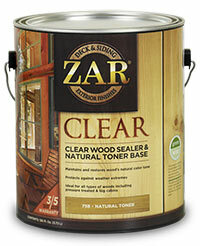 A high-performance transparent satin finish that showcases the natural beauty of logs & wood siding. Available in 7 natural wood hues. 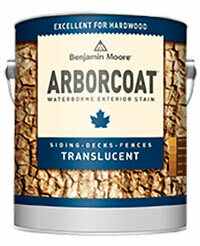 an advanced, 100% acrylic stain & sealant in one that protects wood from moisture & sun damage while adding rich, opaque color. a higher-performing CWF-UV® finish that offers more protection from sun and water damage. 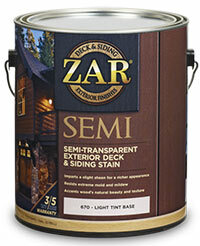 Deck & siding stain for treating wood that has been previously stained in a similar color with a semi-transparent deck or siding stain. 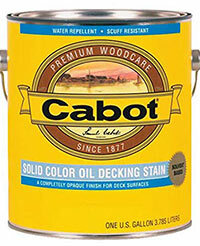 Ideal for decks, rails, posts, fencing, gazebos, sheds, wooden shingles, shakes, and log cabins, as well as other exterior, unstained or unpainted wood surfaces. A unique formula that’s oil-based for durability but cleans up quickly & easily with soap and water. long-lasting & shields against weather & salt air. 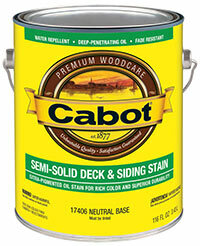 A heavily pigmented, exceptionally thick wood siding stain with greater opacity than conventional solid color stains. 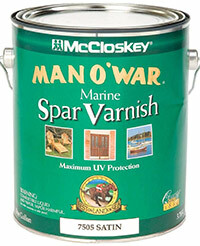 Ideal for siding, shingles, trim. A specially formulated stain with a unique blend of resin & oil to provide a superior, natural appearance for bare wood. 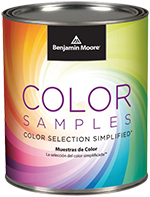 A richly pigmented, semi-solid, 100% acrylic resin-based stain with greater hiding power & color than semi-transparent stains. 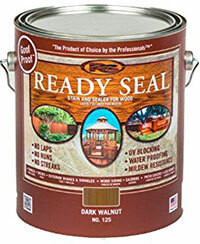 Use on new or reconditioned wood siding, shingles, fences, roofs, etc. 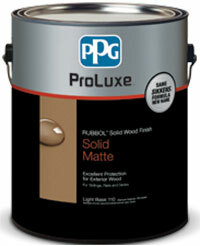 Deeply penetrating, oil-based protection, lightly pigmented to enhance wood’s grain, texture & natural color variations. 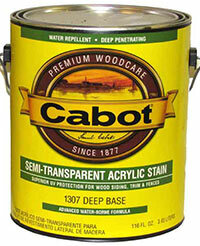 A durable, semi-opaque stain that masks woodgrain but allows texture to show through. It’s made to be walked on. A tough alkyd resin formula delivering maximum color & UV protection in a completely opaque finish that withstands foot traffic & wear. 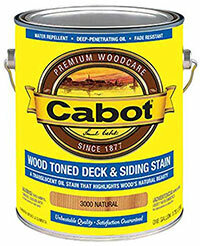 Use on exterior wood decks, railings, outdoor furniture. 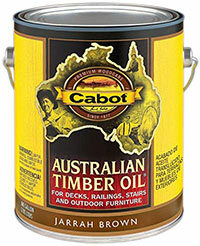 A unique blend of oils originally formulated to protect dense tallowwood, cambara & merbau from the extreme Australian exposures. 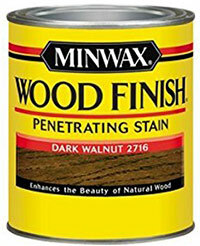 Minwax stains are an American icon that will add color and beauty to your wood – in oil or water-based. With Minwax, there’s a color to suit every style! Available in wood or gel stains. 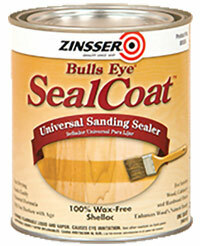 A high-building solution that seals wood to create a surface that can be easily sanded. Contributes to an ultra-smooth final finish. 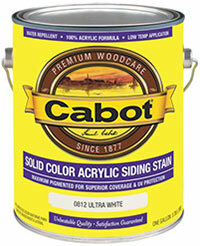 An oil modified urethane delivering professional results on a wide variety of wood surfaces. 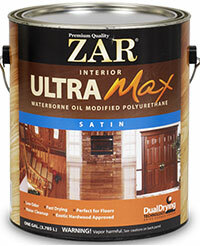 Use on wood doors, interior floors, furniture, trim, etc. 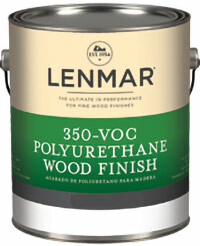 A 350-VOC oil-modified polyurethane for the professional hardwood floor refinisher. 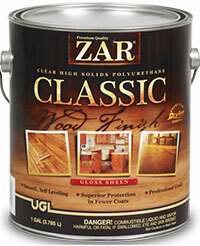 A non-yellowing, environmentally safe, clear wood finish formulated to protect & beautify cabinets, furniture, shiplap paneling, woodwork, floors. 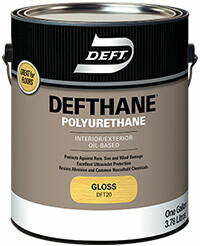 A high solids, oil-based, durable coating that delivers beautiful results in commercial and residential applications. 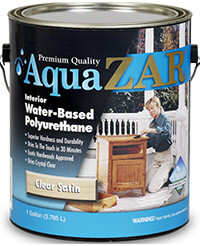 An exotic, hardwood-approved polyurethane ideal for use on Teak, Brazilian Walnut, & other similar wood species. A water-based polyurethane delivering superior performance on surfaces exposed to direct sunlight & the harsh extremes of weather. 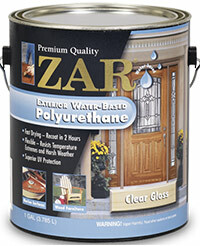 Ideal clear protective coating for siding, patio furniture, steel & fiberglass entry doors. Water & ocean salt spray-resistant.